IMEC recently completed the design and certification of a bespoke EWP to be used on South 32′s Boddington Bauxite mine. The EWP would be subject to thousands of hours of repetitive work so the design had to be robust as well as user friendly. The platform for the design was a 4WD Mercedes Sprinter selected by the client. 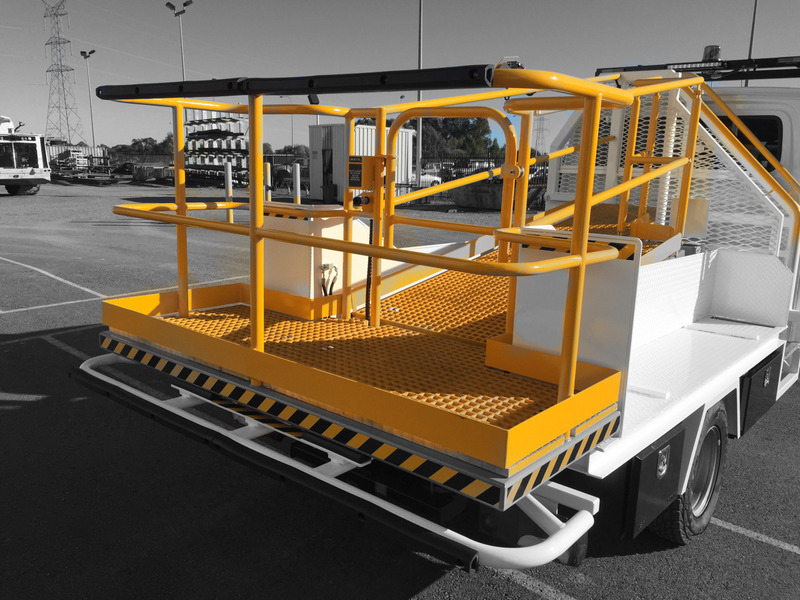 The EWP’s design was based on the relevant Australian Standards and has personnel safety as the basis of all design decisions. The mid-walkway controls remove risk to personnel as they are safely removed from any crush zone during inclination. Inclinometers with audible alarm for safe working angles and non-slip FRP grating for walkways, are just some of the safety aspects designed into the EWP. This truly was a unique project and one that challenged and inspired the IMEC design team and further emphasised that personnel safety needs to be the number 1 design consideration for all mine equipment designs. By manager|2016-03-02T14:21:21+00:00September 8th, 2015|News & Articles|Comments Off on What’s the future for EWP’s on mine sites?